– Boil the lotus roots for approx 10-15 minutes. – Put the coconut oil in the pan , turn to high heat and wait until the oil is hot. 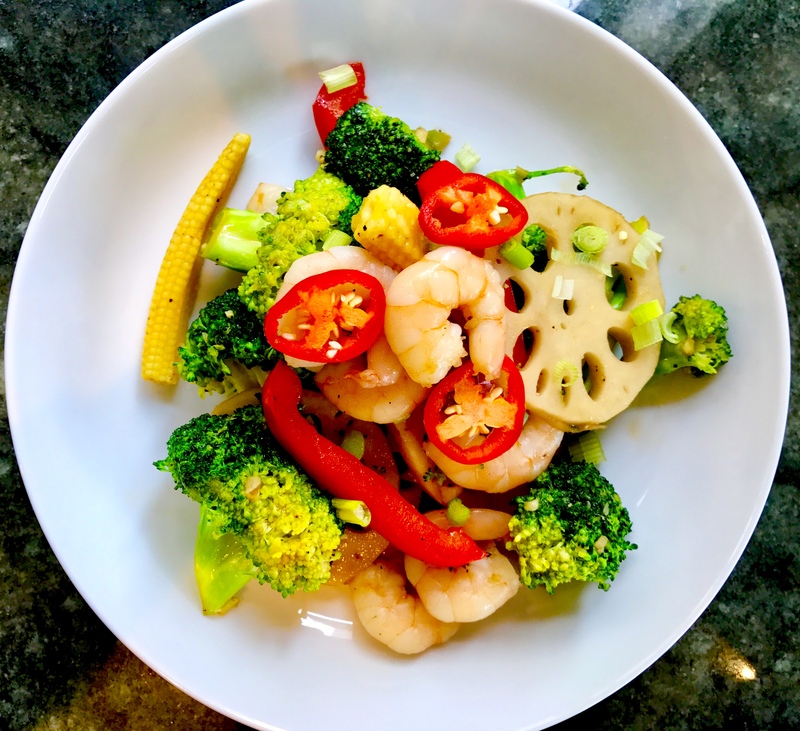 Then put the broccoli, boiled lotus root,garlic,red pepper and baby sweet corn in the pan.Mix well until the broccoli is slightly cooked. – Put the oyster sauce, soy sauce, fish sauce and sugar in the same pan. Stir for approx 1 minute then add the prawns ,water ,spring onions and ground black pepper. – Stir until the prawns are cooked. Transfer to the serving plate. Garnish with red chilli. 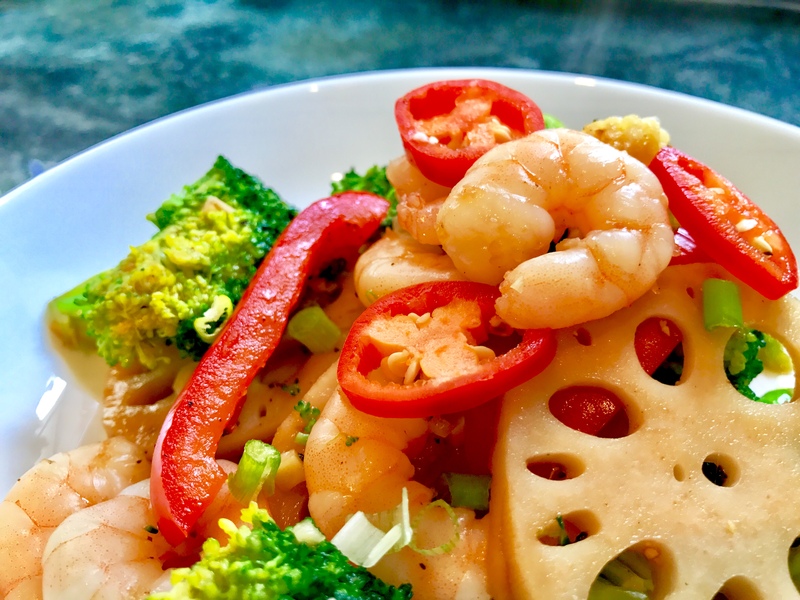 That’s it….. Stir-Fried In Oyster Sauce,Prawn,Broccoli And Lotus Root the mother of all stir fry is best served with steamed Thai Jasmine rice. -You can also use water chestnut or bamboo shoot instead of lotus roots. I like to listen to the sizzling sound while cooking Stir-Fried In Oyster Sauce,Prawn,Broccoli And Lotus Root all the way through.